So how's your weekend so far? Mine is great! Three 3 custom cremes available with the purchase of eligible Special K products through the Kellogg’s Family Rewards program. 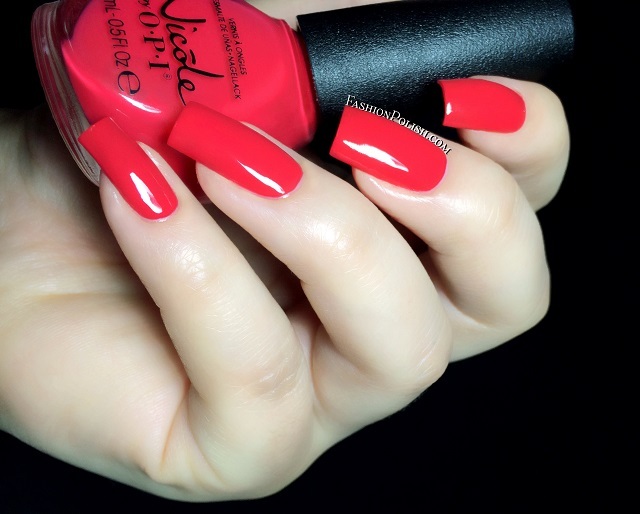 My Sol Shines Brighter is a vivid coral red with flawless formula and application. I used 2 coats plus topcoat. Challenge Red-y is a deep red jelly with a cherry base. You can't go wrong with red and this one looks perfect. Nice and easy application as well, I also used 2 coats but I'd call it a 2 to 3 coater. 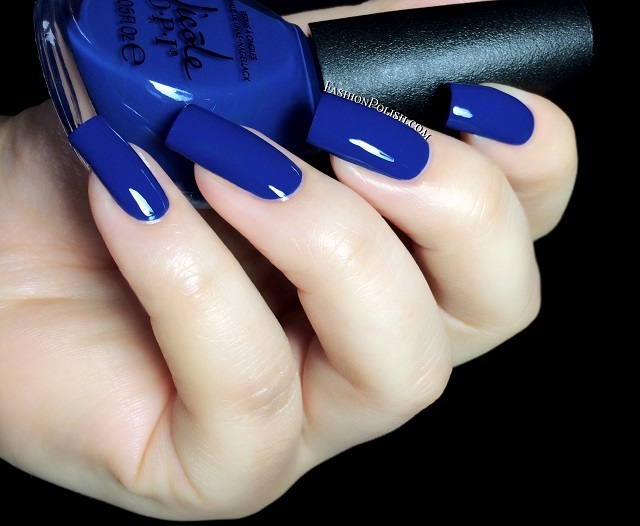 Live in the Momentum is a great sapphire blue creme with, again, excellent formulation and a 2 coats coverage. There's nothing groundbreaking about this trio but they're all beautiful colors and offer excellent formula. If you can get your hands on them, don't hesitate! 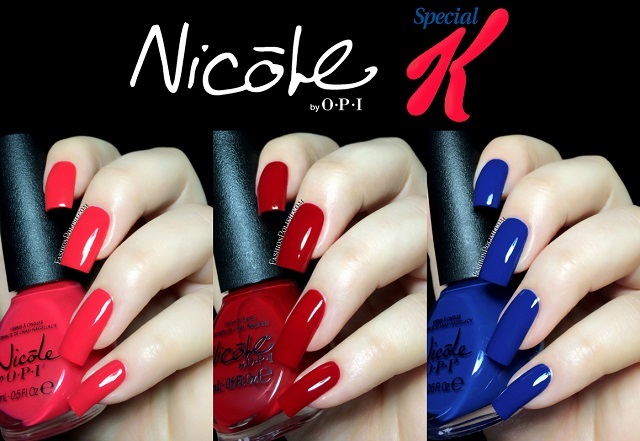 Shoppers will have the opportunity to receive free full-size bottles of Nicole by OPI nail lacquer by signing up for the Kellogg’s Family Rewards program and entering codes from specially marked boxes of Special Kproducts, while supplies last.